There is a consensus that the roles of universities are changing in modern society, even though universities essentially devoted to education and research for truth-seeking in diverse disciplines. Many experts have criticized that useful knowledge and technologies for economic prosperity are crucial to universities, that is, the nature of universities has been threatened. This issue is very important and needs to be discussed before it is too late. What is CNU students’ idea about this? 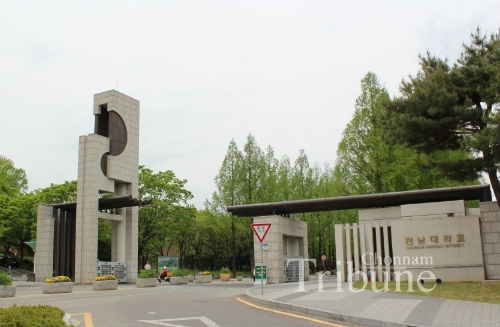 The CNU Broadcasting and Press Center conducted a survey of 484 students from April 24 to May 2 to explore their opinions of the nature and purpose of universities and to provide essential insight for higher education institutions. Let’s talk about the fundamental roles of universities based on the survey results. ▲ Graph1 showing the result of a survey conducted by the CNU Broadcasting and Press Center from April 21 to May 2, 2017. What Is the Fundamental Role of Universities? According to the results with multiple answers allowed, about 58.7 percent said that they predominantly think the fundamental role of universities is to conduct academic research and truth-seeking. The next two top responses were to provide opportunities for initiating students’ self-realization (29.5%) and to enhance students’ employment competence (28.5%). When asked how well universities perform their roles, about 43.0 percent of respondents said that the universities perform their roles well, while 25.6% of respondents answered that they do them poorly. However, there appears to be a gap between the results and the reality of students. Statistics Korea showed that Korea’s unemployment rate was 3.7 percent in 2016 while youth jobless rate was 9.8 percent. Kim Ju-hae (Freshman, Dept. of Nursing) said, “I think basic learning at a university is less helpful for employment rather than practical knowledge and skills. Universities need to teach practical knowledge and skills so that students learn to prepare for employment with working skills.” It means that university graduates have difficulties in getting a job, notwithstanding high college enrolment rate. Moreover, students have to work part-time jobs to help pay for tuition and living expenses, study to get good grades, prepare various qualification tests for employment and also involve in extracurricular activities. Thus, it is implied that students understand the basics of universities, but they need realistic solutions to face the reality about high unemployment. ▲ Graphs showing the results of a survey conducted by the CNU Broadcasting and Press Center from April 21 to May 2, 2017. What are the primary considerations so that universities can play their roles well? CNU students answered that change in the social atmosphere to emphasize educational background (27.3%), realistic employment policies of governments (26.6%), and curriculum relevancy and operations responding to the changes of the academic environment (22.1%) as primary concerns. About top priorities for improving certain areas at universities, many students responded that quality of education for student, that is, lecture quality (29.3%), career and job training (25.6%) and student welfare and support services (23.1%) need to be improved . Many respondents decided to go to university in order to get a good job (35.5%), or because of the social pressure saying everyone should go to university (33.5%). Lee Hyeon-sun (Senior, Faculty of Economics) said, “Korean people regard a university education as an essential course in life and I thought the same. So, universities should execute a differentiated education for students. It is precisely the basic function of universities. The reason why the function is not be performed well is that universities did not provide a good quality education.” Oh Ji-hye (Sophomore, Faculty of Business Administration) said, “Universities must play their primary role for truth-seeking, and then revamp the outdated education system. No matter how important technology and science may be, people who understand human society can take charge of technology and science. How can we deal with this problem? Chung Byung-seok, the President of CNU, declared in his inauguration address that CNU’s future education is multidisciplinary because technology or knowledge in just only one field does not help students adjust in the midst of the fourth industrial revolution. President Chung also announced that CNU initiated a series of reforms related to the university system such as programs to strengthen education capacity including a humanities program, a new liberal arts curriculum, and basic education for freshmen. It is expected that these efforts can help CNU students to make the right choice and to develop their competencies. Therefore, CNU should make efforts to tailor education to the basics of universities and students’ individual needs.